I’m going to start with this caveat first. If you have no prior knowledge on the Ripper murders, do not start here. Luckily, I have a huge interest and knowledge base about dear old Jack. I’ve read quite a few books, read shows, watched movies, did some tours, etc. Basically, I’ve been interested in Jack since I was nine. Yeah. I was a weird kid. But, that’s for another time. As I said, this book is more of a historical literary analysis, following the trends through the years and Ripperologists. Odell had more to say about people from the 1960s and on, but this book cuts off in the early 2000s so new evidence that has come to light wasn’t included. I loved how thorough Odell was. He covered serious theories that I’ve heard many times, ones that are serious but I haven’t heard of too much because books I’ve read dismissed them, and the crack pot theories that I love. Such as, the Duke of Clarence (Queen Victoria’s grandson) was the cause of it — and the basis of From Hell, both graphic novel and movie — and that it wasn’t Jack the Ripper but Jill the Ripper. Odell went through it all, combing the evidence that was available to him and all the books that made a mark on history. For good and for bad, too. He treats it all evenly, which I really like. While Odell is dismissive of the more ridiculous theories, he still examines all the evidence and then shows how it doesn’t quite work. The only downside is that this doesn’t account for some recent advancements. Mainly, I’m referring to the book Naming Jack the Ripper. I read this back in 2016 and was impressed by it because it brought in DNA evidence that linked one of the prime suspects to the history. I would have loved to see Odell’s thoughts on it since it sounds like Cornwell’s book, Portrait of a Killer, which he examines in lots of detail. Aka, he tears it down. While this book is for a very specialized group of people, it was very interesting. You just have to know your stuff already and have read some of the literature. Unless you want to do a bunch of Googling while reading. This sounds fascinating but I’m glad you gave the caveat that some prior knowledge is necessary as I don’t think I have near enough to appreciate this one. Maybe will have to work up to it 🙂 I’ve been on the Jack the Ripper tour in London too! (one of them, at least, I think there are even multiple options?) excellent review! If you want a grounding, I’d suggest The Complete History of Jack the Ripper by Philip Sugden. Odell was kind of dismissive of how dismissive he is, but it’s a 500+ page book that goes into the murders (before and after the canonical five) along with the most viable suspects. 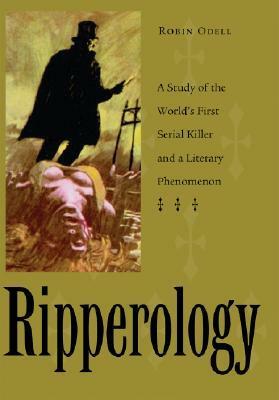 Okay, for Naming Jack the Ripper, I remember feeling very convinced by his new evidence. It was DNA and he found stuff from a suspect on the shawl of a victim. However, it also felt like he had picked his suspect a while ago and was fitting the evidence in at times. Ugh that’s often a problem with true crime, I find–where they ignore any other potential evidence in favor of the one they’re making a case for. But if it’s solid DNA evidence that’s tough to argue with, especially on her clothes. Good to know! I don’t recall how solid the DNA evidence was, but I think they used mitochondrial to trace the suspect’s line. I think it’s been a few years.